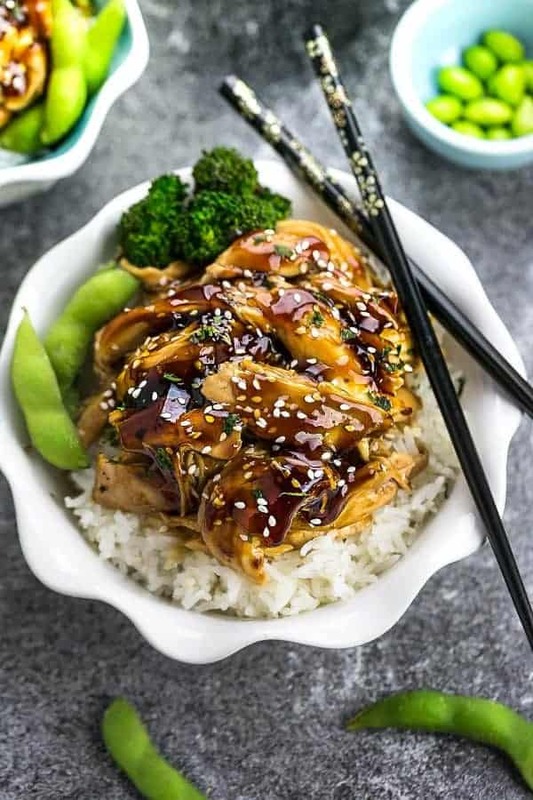 Slow Cooker Chicken Teriyaki makes the perfect easy set and forget crock-pot and Instant Pot pressure cooker meal. 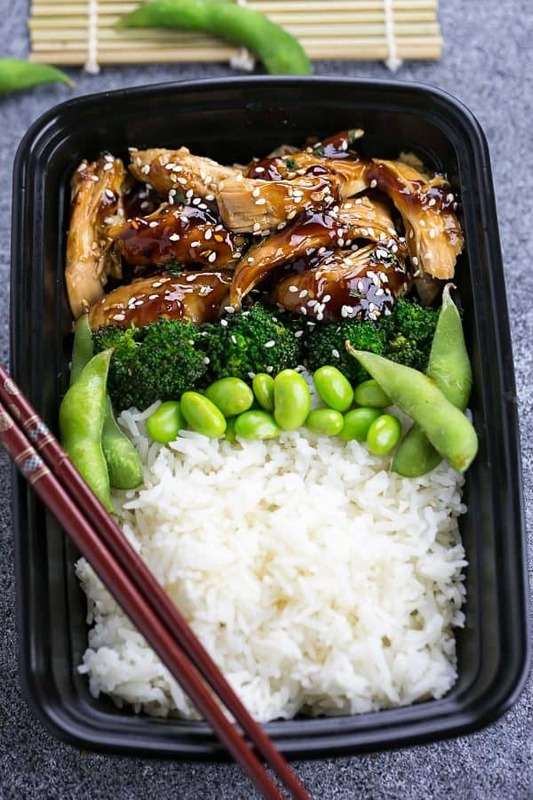 Best of all, only 10 minutes of prep with a delicious homemade Teriyaki sauce. 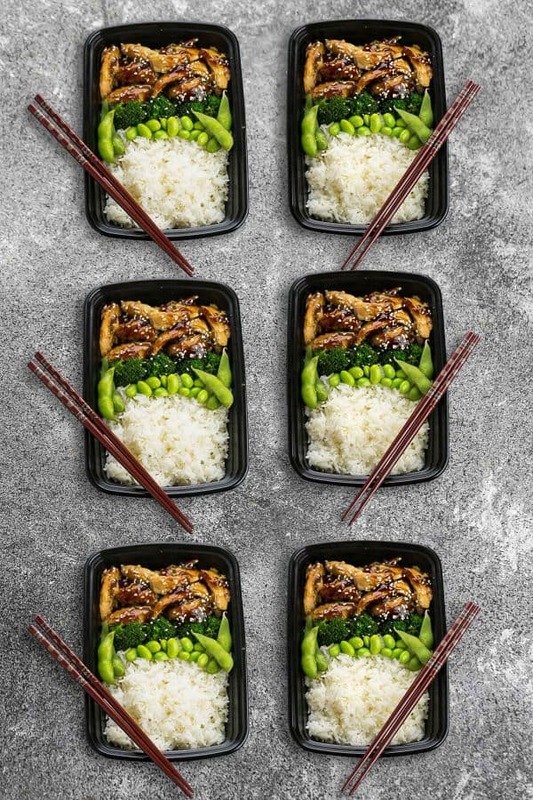 Sunday meal prep for work lunches and skip the takeout! Plus recipe VIDEO! Back when my husband and I were dating, we used to love going out to eat at our favorite Japanese restaurant. Once I realized how easy it was to recreate our favorite take-out dishes at home, I’ve been obsessed. A few that of our takeout favorites are Chicken Lo Mein, Chicken Pad Thai and Cashew Chicken. 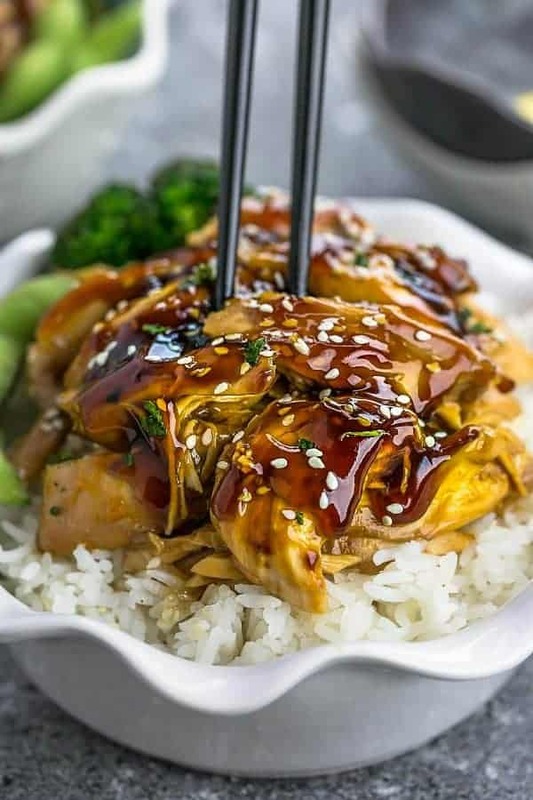 And now, I’m super excited that we can add Teriyaki Chicken to our list. The flavors are spot on and the best part? It practically takes no time at all to prep! In fact, it’s an easy set and forget kind of recipe. 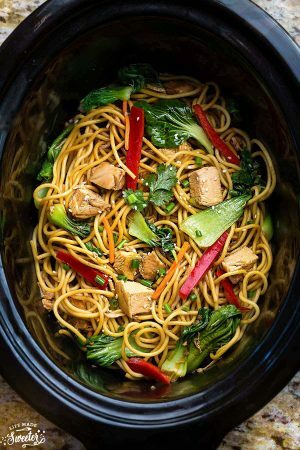 Toss everything into the crockpot (or your Instant Pot) and simmer away! The chicken soaks in all that amazing sweet and savory sauce and stays nice and tender. 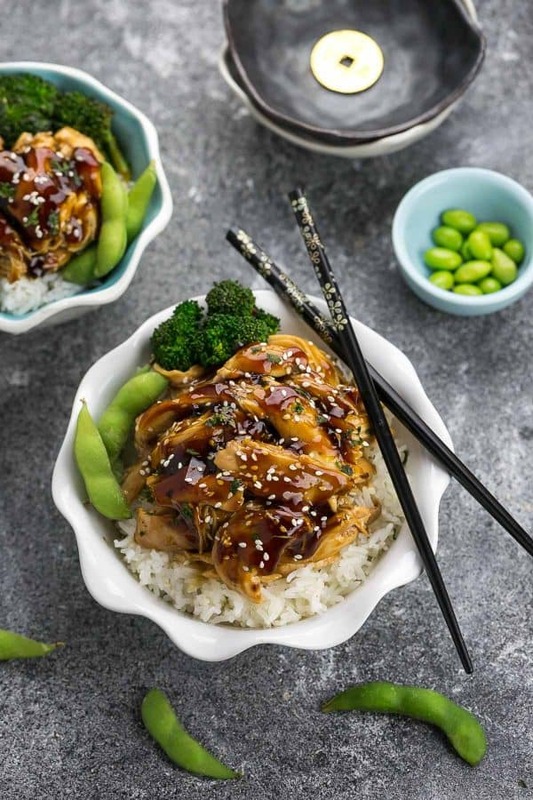 Shred into bite-sized pieces with two forks and serve over your favorite rice, quinoa or noodles. 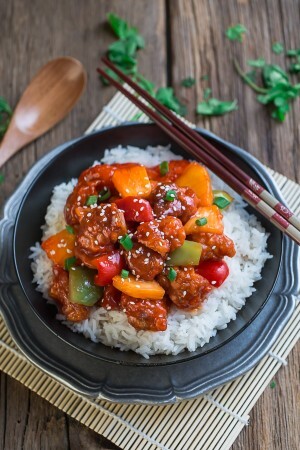 It makes a delicious meal that can easily rival your local take-out restaurant. These would make great leftovers or if you prep this on your Sunday meal prep, you can have great work or school lunches for the rest of the week.